Artificial grass is the perfect solution for all your sports field needs. Our products have been used for over 15 years on some of the most important fields in the industry. 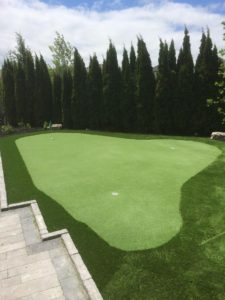 Artificial grass provides a consistent playing field and easy maintenance. All sports fields can be customized with team logos, designs, a variety of coloured turf options and all necessary single sport or multi-sport field lines and markers.